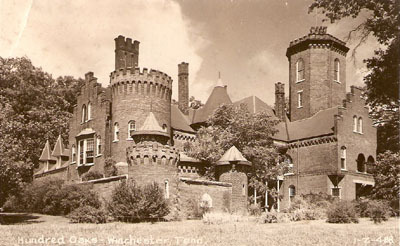 Construction on Hundred Oaks Castle began in 1830, though it was not so-named at the time. It was originally built as a plantation farm house by Benjamin Decherd, the railroad tycoon for whom the town of Decherd, Tennessee, is named. The property was purchased in the 1860's by Albert Marks, the 21st governor of Tennessee and a relative to Thomas Jefferson. It is said that Albert's son Arthur counted the gracious oak trees that dotted the plantation land and came to the sum of 100, hence the name "Hundred Oaks." And from such beginnings flowed a history that has touched countless lives and has stood the fierce test of the elements and time. 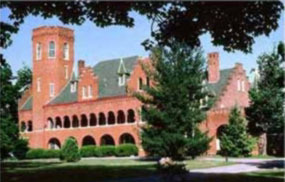 The Castle claims as its previous owners the Paulist Fathers, who operated it as a monastery for over fifty years. The Castle has seen days of glory and one fire-ravaged night of devastation, yet it stands today wonderfully embraced in the beauty of its own history, restored to life and joy by the hard work and faith of P.K., Shirley and Robert Bramlett of the Kent Bramlett Foundation. In 2002 Robert took Ashley as his beloved bride before 600 guests with the historic Castle as the backdrop. Their family has now been blessed with the addition of two sons and a daughter. Robert and Ashley are both lawyers with P. K. Bramlett at Bramlett Law Offices in Nashville. Ashley is also an author and pianist. Pictured above: From the front, side lawn. Pictured above: From the back field. 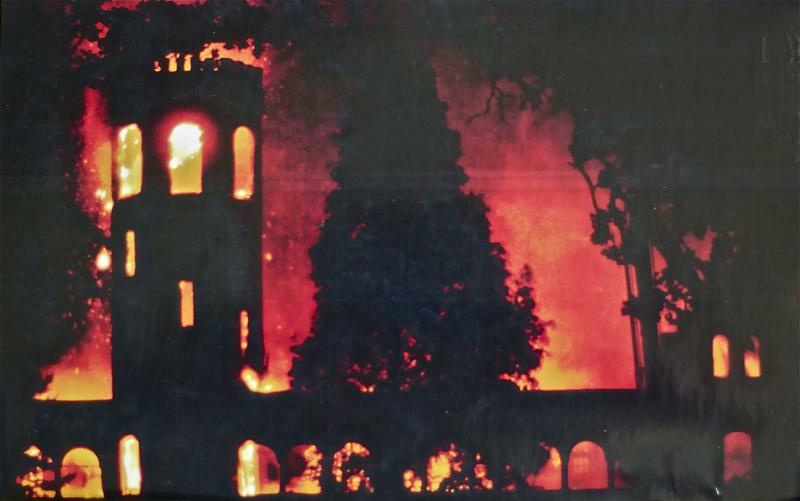 Pictured above: The Fire that ripped through Hundred Oaks in 1990, widely thought to have been set by an arsonist. The moment was captured by a local newspaper reporter. 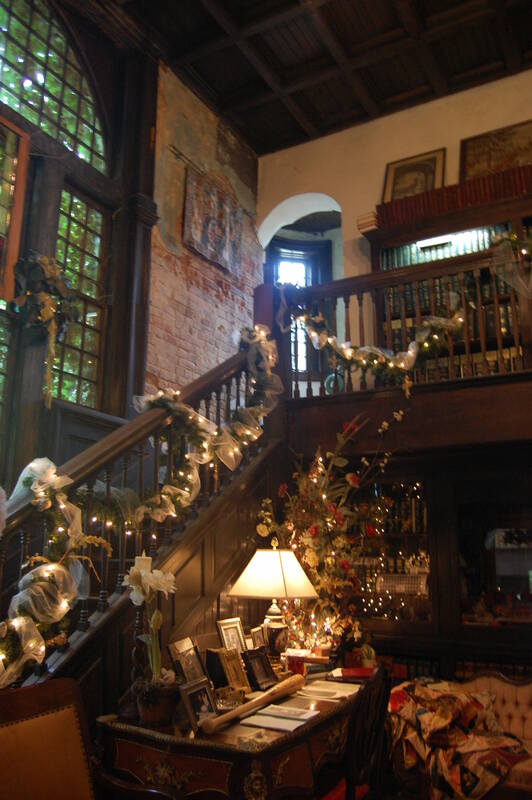 Pictured above: The Study at Christmastime, patterned after Sir Walter Scott's study at Abbottsford. The fire charred the walls and marked a turning point in the structure's history, but it could not destroy the spirit within.